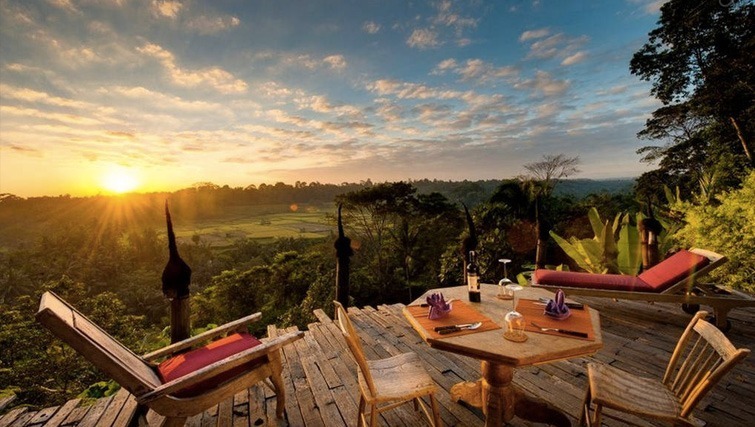 Heading to Ubud to fulfill your Eat, Pray, Love odyssey? Well believe us, staying in a hotel (however fabulous) just won’t do. You need a chic Bali villa set in electric green rice fields and dramatic river gorges of the Ayung River – far, far away from the tourist track. We were in Ubud recently and *a popular discount hotel website* mucked up our booking. So we took to AirBnB.com for a last-minute find. The villas we stumbled upon were so spectacular that we simply had to show you. Don’t know about AirBnB? It’s really simple. If you have a fabulous house (anywhere in the world) that you don’t use very often (lucky you! ), you can list it on AirBnB. Travellers then book rooms in an awesome house, or an entire estate, just like a hotel. You’ll be blown away at what you can find. There’s even the odd futuristic caravan and fairytale treehouse to keep you entertained. 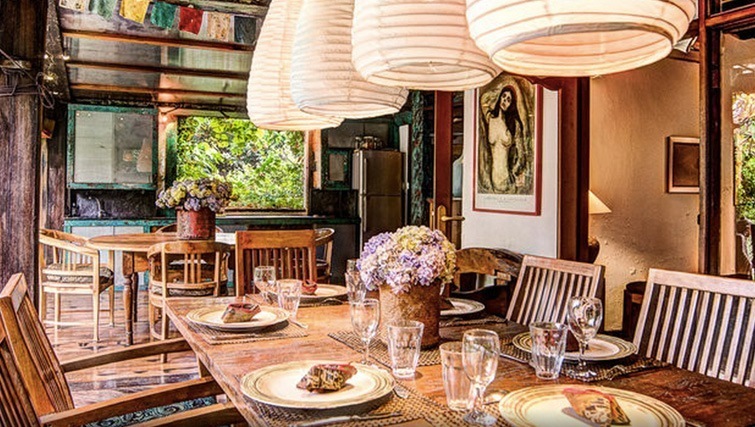 Check out these 7 heavenly AirBnB villas in Ubud that have us swooning. 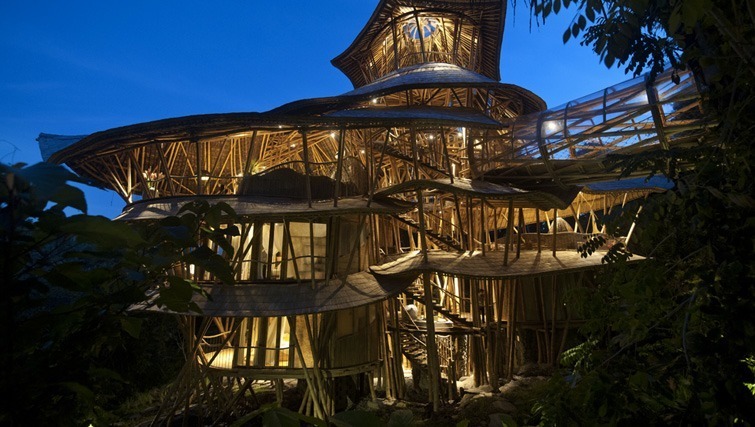 This unique bamboo house is a living work of art and has been featured in New York Magazine and CBS Morning. It’s set in the river valley landscape along Bali’s sacred Ayung River. You enter the house through a giant bamboo tube and follow the network of spacey corridors and staircases into a surreal collection of luxurious floors and rooms. The jaw dropping architecture of this house doesn’t just wow the adults, we can imagine kids tripping out in this groovy space. 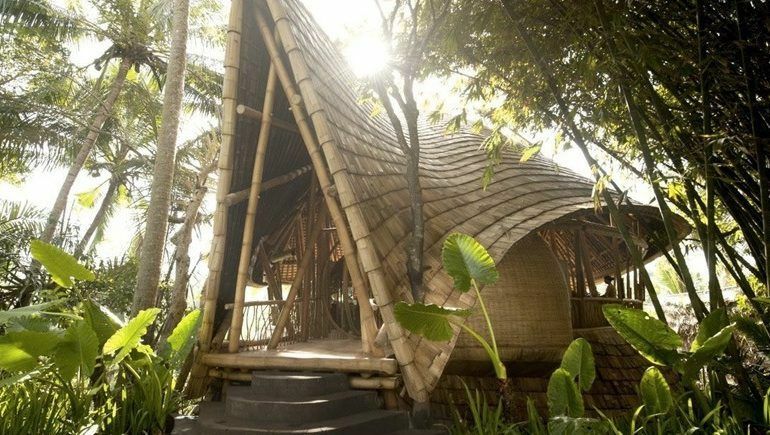 Book this Remarkable Bamboo House on AirBnB. Can’t afford to holiday in Africa? 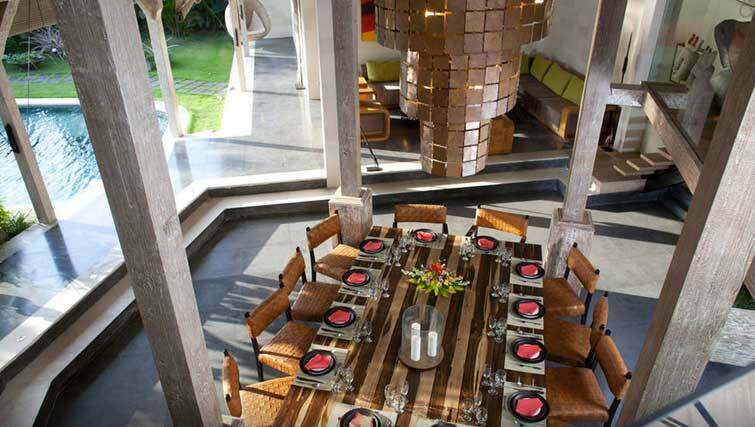 Just a few minutes away from the centre of Ubud, this African themed house in Sayan Valley brings Africa to you. Inspired by antique teak bridal houses in Java and luxe African safari interiors, the estate is designed to cocoon guests in a sense of comfort and intimacy with nature. Fancy a refreshing dip? The natural pool is filled with natural river water and uses local lava stones to filter the water naturally. What a way to reduce your holiday carbon footprint. 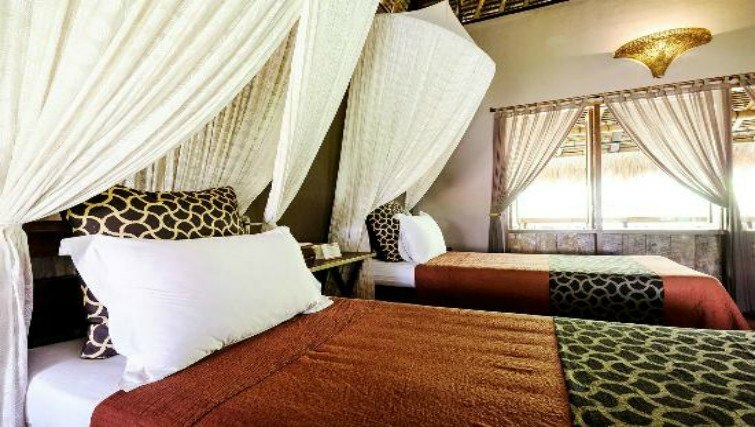 Book the Africa Themed House on AirBnB. Also located on the same estate as the Africa Themed House in the Sayan Valley, the Old Wooden Rice House is a touch more affordable. The house is decorated with the owner’s private collection of lavish rugs from Morocco (yum! ), fabrics from Indonesia and lacquerware from Burma. Just like a five star hotel, but with a personal touch. This estate is super hot on AirBnB, so you’ll have to plan your stay well ahead in advance to stay here. Book the Old Wooden Rice House on AirBnB. Sakovabali Villa is a stylish modern villa that combines traditional architecture and a tropical landscape of jungles and ravines in the outskirts of Ubud, near the wood carvers village of Tengkulak. Fully staffed, with a fabulous in-house chef and onsite spa, you won’t have any reason to leave. With four bedrooms and contemporary indoor and outdoor living, this would be a fantastic spot for intimate group gatherings. Book Sakovabali Villa on AirBnb. This sprawling estate accommodates up to 16 people in 7 bedrooms and bathrooms (hence the price tag). If you’re planning a big group holiday with the extended family, this is the perfect luxury villa estate for it. Built in 2011, the estate consists of 4 main bedroom houses, a sleeping loft and a one-bedroom cottage. Overlooking the Wos river gorge, there’ll be plenty of opportunities for picture perfect moments with the family. Book Pelangi Estate on AirBnB. A hauntingly beautiful four bedroom compound, isolated on 3 hectares of land at the jungle’s edge awaits you. Set atop a vast amphitheater of rice paddies and river gorges of the holy Pakuseba River you’ll feel a million miles away from the world, and perhaps on another planet altogether. Book Villa Kelusa on AirBnb. Looking for something completely new and modern? This private pool villa was built in 2013, with pretty slate pathways that run through the property and peak through the foliage to reveal verdant rice fields and tropical forest. It’s the sort of place where you lounge by the pool sipping champagne at noon and take long siestas in a Balinese gazebo. Book Private Pool Villa on AirBnb. Whether you’re coming to Bali for the first time or the fifteenth, choosing accommodation can bring on a headache faster than a Bintang induced hangover. As tourists to this beautiful Island we are really spoilt for choice. Whether you’re looking to splash out and laze away your days at a luxury resort in Nusa Dua or you’re in search of a more authentic lodging in Ubud, we at inBali want to give you a few tips which will help you choose a place where you will be happy to hang your hat for a few days (or weeks). 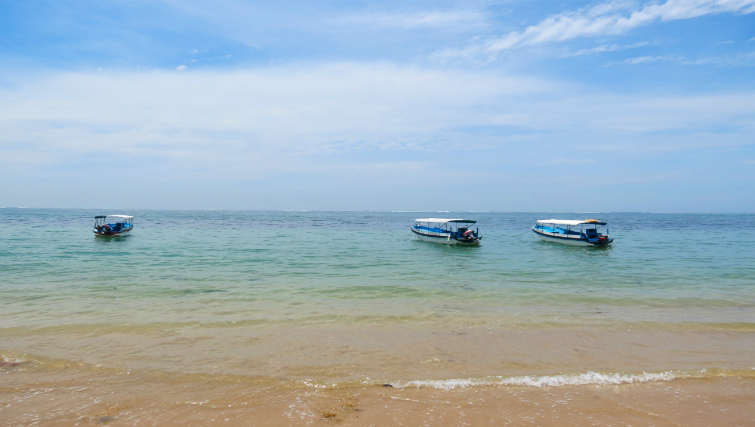 Boats idling at Sanur Beach, Bali. Bali is an island full of experiences unlike any other. Famous for its surf beaches, rich culture, bargain shopping and vibrant nightlife, there really is something here for everyone; families, couples, groups and young travellers. The island itself attracts over 3 million foreign tourists per year, with the peak periods being during the months of August and September as well as December to the end of January. Throughout the low season months of October through to March (December to January being the exception) most hotels are at 50% capacity so you can afford to shop around or even negotiate the price of your stay. When it comes to choosing, variety trumps all expectations. You don’t have to spend big to get decent accommodation in Bali. If you’re not wanting to fork out hundreds of dollar per night, but still want to enjoy some small luxuries of holiday life, you most certainly can. You should even have enough cash left over to hit the markets, shops and Bali’s impressive cafe and restaurant scene too. The best places to look for accommodation in Bali if you’re on a budget are areas like Kuta, Legian and Ubud. These locations are your first port of call to snag the best deals and price wise you will be looking at anything from USD$15-100 per night. Budget accommodation comes in all shapes and sized. A common type you will find scattered all around the island are lodgings such as homestays and guesthouses (losmen). These feature traditional Balinese architecture, known as Pekarangan; a family style compound with most rooms facing the inner courtyard. They are usually family run and fitted with humble furnishings. With your stay a simple breakfast such as banana pancakes will be included and you will experience a warm hospitality unlike any other. 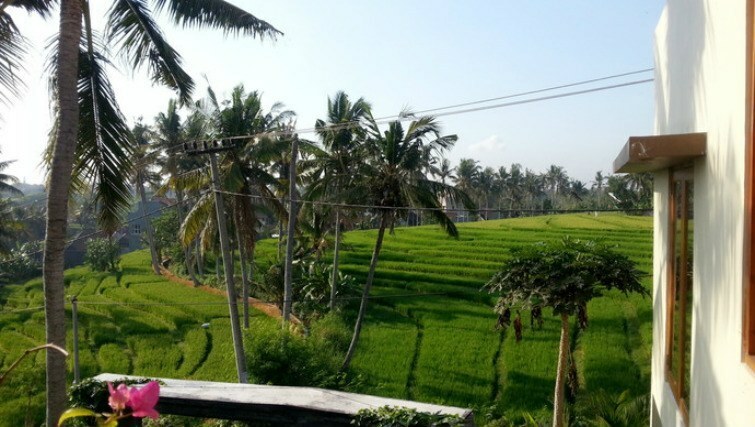 It is important to note that in Ubud it can get a little cooler than Kuta and Legian as it is in the mountains and surrounded by a lush jungle and rice laddie fields. In other words, it’s best you bring a jacket. Just incase. Enjoy the lush green surrounds of Ubud. If you’re beach obsessed, Uluwatu and more recently Canggu have cheaper accommodation popping up all over the place. These areas are famous for their lazy seaside vibe and you will find a number of lodges catered towards the surfing crowd. Prices will be listed in local currencies and don’t forget to enquire about included airport transfers, sometimes you can get lucky. Budget motels and bungalows located in the areas of Sanur, Uluwatu, Canggu, Kuta and Legian (where even some budget hotels face the beachfront) will usually include ceiling fans and/or AC, private bathrooms and the hotel will usually have a pool attached. Our insider tip for the best budget accommodation in Bali is actually in Sanur. 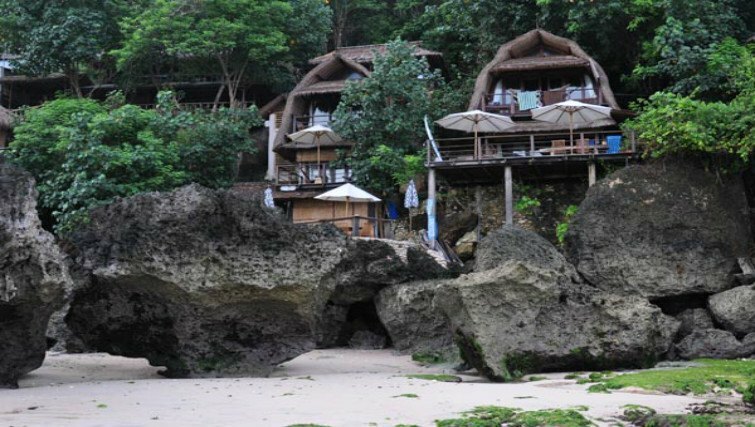 This part of the island offers something a little different to the Kuta and Legian digs. It has a more laid-back fishing village atmosphere where people come to relax rather than party the night away. Take the time to consider what is right for you from the information and tips written above and don’t settle for the first thing you see. There are some wonderful losmens, hotels, villas and resorts out there that are as beautiful and unique as the island of Bali itself. 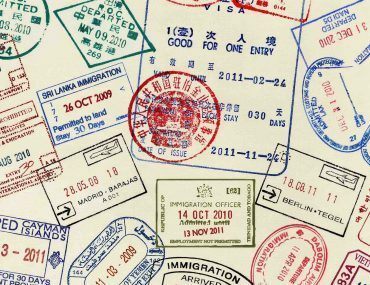 Below we have included some of the best websites to check out in order to make your check-in easier. We also suggest that you cross check against a few different sites to make sure you’re getting the sweetest deal. The official websites should give the best indication of what the accommodation is like visually and provide you with the most information. But it’s not necessarily where you will get the better deal. It is those subsidiary websites as listed below where you will normally find the most competitive prices. Homestay.com – Homestay.com offers a truly unique style of accommodation. To experience a destination as authentically as possible you need to possess lots of local knowledge. So having someone to show you the best restaurants and bars (not the tourist haunts), hidden attractions and give you plenty of advice is invaluable. 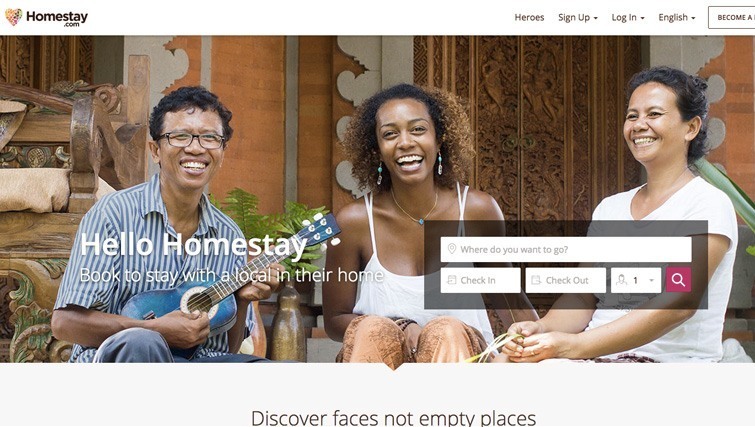 Booking accommodation with homestay.com means you’re staying with a local who can help you have that truly authentic experience. You can use homestay.com for short or long trips and there are some wonderful hosts all over Bali. TripAdvisor – TripAdvisor’s data base is completely user generated with all rankings are based on peer reviews. There are more than 200 million reviews and opinions on more than 4 million different accommodation and dining options from travellers all around the globe. You can read countless reviews and make your decision based on other peoples’ experiences. AsiaRooms – AsiaRooms operates in around 180 different countries including Indonesia. Hotels use AsiaRooms to sell their accommodation at more competitive prices. You’ll more likely find the room cheaper on here than you will on the hotels own website. The hotels are regularly reviewed by AsiaRoom and user reviews and ratings are also available to help you find the best accommodation in Bali. Agoda – Agoda is a popular online booking site that prides itself on only offering guests who stay at the hotel the opportunity to write a review. Unlike other travel sites, not just anyone can complete a review, this makes them 100% legit. They have hundreds of thousands listed hotels and offer some of the most competitive prices on the Internet. Air bnb – Airbnb is really starting to dominate the online accommodation world. Anyone can chuck their home up on the site, however there is a clear movement towards this site being used commercially rather than people offering the physical homes they live in. 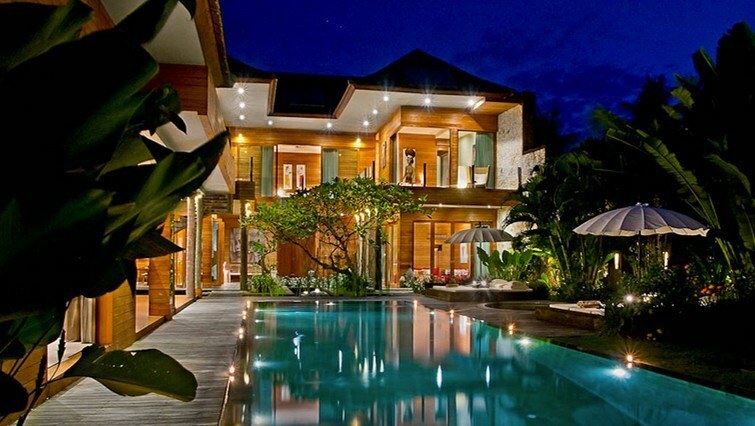 There are so many amazing options, especially villas in Bali. Just make sure you only go for ones with good reviews and lots of them at that. Booking.com – If you wait until after midday on the day you need to check in somewhere (for those travellers who are quick on their feet) you can get some amazing deals on Booking.com. But decent deals are plentiful regardless. Like Agoda, only people who book with them can write reviews about their accommodation purchased through this website so it gives a great indication of what you can expect upon your arrival. The view from Le Pirates in Echo Beach. Just as you’re spoilt for choice with the types of accommodation on offer in Bali, you’re also pretty lucky when it comes to locations. The beauty of Bali is that everywhere is so different and you can truly create your own ultimate holiday experience. As was once so eloquently stated by supermodel Tyra Banks, “you don’t choose Bali, Bali chooses you.” We can’t help but agree. In Kuta you will be able to shop in large scale malls, hit all of the surf outlets, venture to the famous markets selling anything and everything from fake Nikes to crockery and jewellery. Many of your massive hotel chains like the Holiday Inn and the Hard Rock Hotel are located in this area too. As you move towards Legian, things get a little more palatable for a more sophisticated bunch and a little too swanky for some. 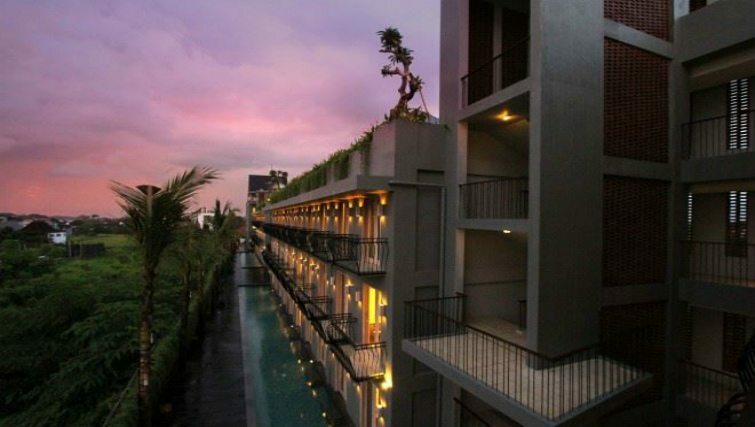 Dekuta is one seriously trendy budget hotel and is just a two minute walk away from Bali’s famous Kuta Beach. Its chic and modern design makes it more boutique than budget, but all in all you get what you pay for and you can’t really complain at this price. The bedrooms all surround the common pool, with wooden floorboards, white sheets and a balcony. Dekuta has great social areas making it a good option if you’re travelling with friends. The Nebula Room is the resident bar and restaurant that has a distinct South American feel. The vibe is fun and cool with food that combines Asia and European flavours. Bliss Surfer Hotel takes its theme seriously, from the surfboard shaped tables in the restaurant to the benches in the bedrooms, as well as literal surfboards scattered all about the joint. It has a massive swimming pool where you can spend your days taking dips then lounging poolside on the massive horse shoe shaped sofa. There are various room options, whether you’re travelling solo, with a family or group of friends. The family room has a large bed and double bunks so you can keep the kids close by. The friendly staff and great location, as well as being just 15 minutes from the airport, makes this a great budget option. 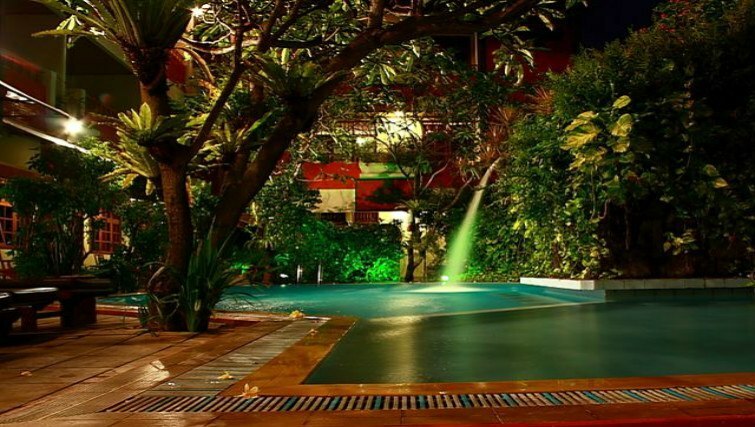 Touted as one of Bali’s premier budget accommodation options, Green Garden Hotel is a family owned and operated hotel offering 30 cheap and comfortable rooms surrounding a pool. It’s close enough to the hub of Kuta and just 200 meters from the beach. Kumpul Kumpul Villas has three different star locations in this area of Bali; Kumpul Kumpul I Double Six, Kumpul Kumpul II Legian and Kumpul Kumpul III Seminyak. There are one to four bedroom villas available. 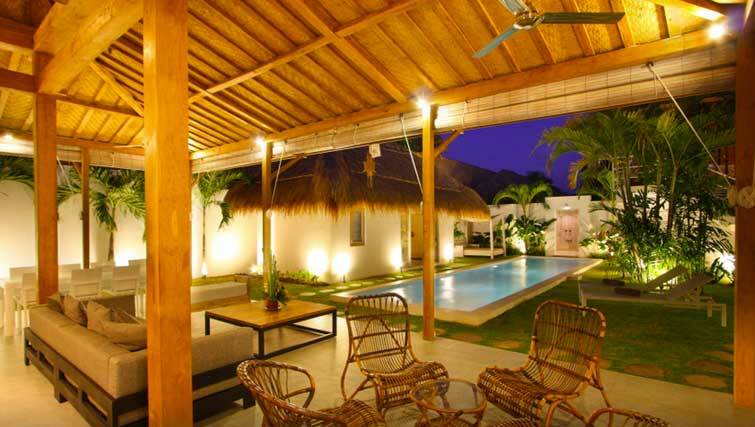 Kumpul Kumpul offers affordable villa living. All of their villas offer private bathrooms, a kitchen and relaxing garden. There’s even a swimming pool on the doorstep of your villa. Tenang House is run by a local Legian family who love to show their guests a traditional, laid back, Balinese way of life. 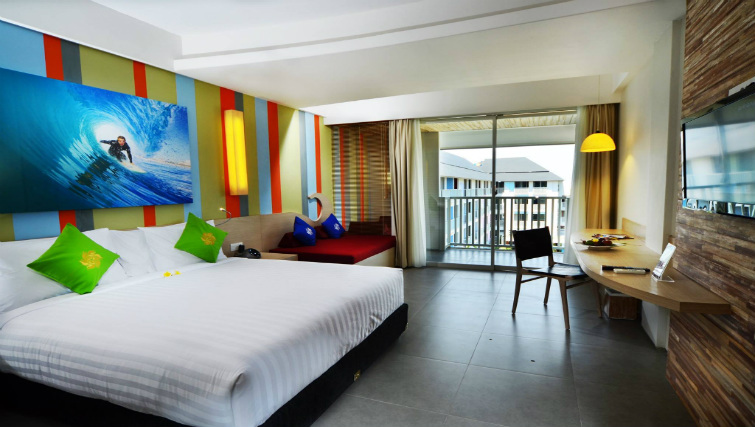 Close to Legian Beach, the rooms are new and modern. There’s hot water, air-con and fresh towels provided each day. Small but convenient luxuries for next to nothing, you’ve got to be happy with that. Seminyak and Kerobokan buzzes with a cool and trendy vibe. A long list of Bali’s best restaurants line the streets and there is always something going on. This area is constantly on the go, stay up late for a cocktail, massage or some ice-cream to sooth you during the hot and barmy nights from Gusto Gelato. While you may only identify Kerobokan with the controversial happenings of Kerobokan prison, you shouldn’t be turned off. 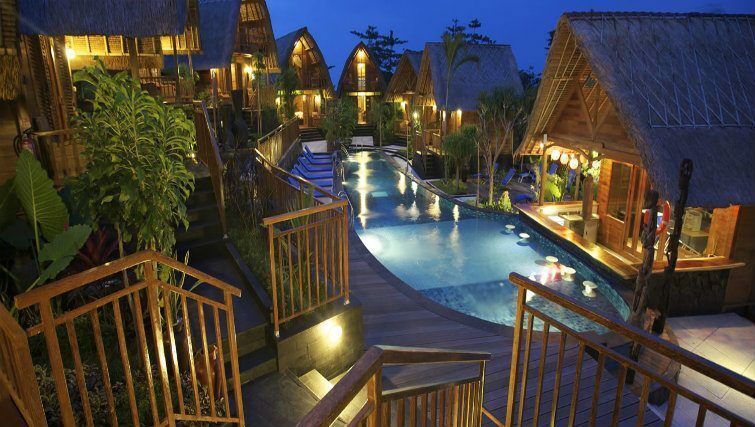 This area has been newly developed and offers great accommodation in Bali. If you’re looking to spend your days lounging from sunrise to sunset at one of Bali’s beautiful beach bars like Ku De Ta or Potato Head, finding accommodation in Seminyak will offer you a short stroll or stumble home from these places. You will mostly find villas and slightly smaller-scale resorts and hotels. 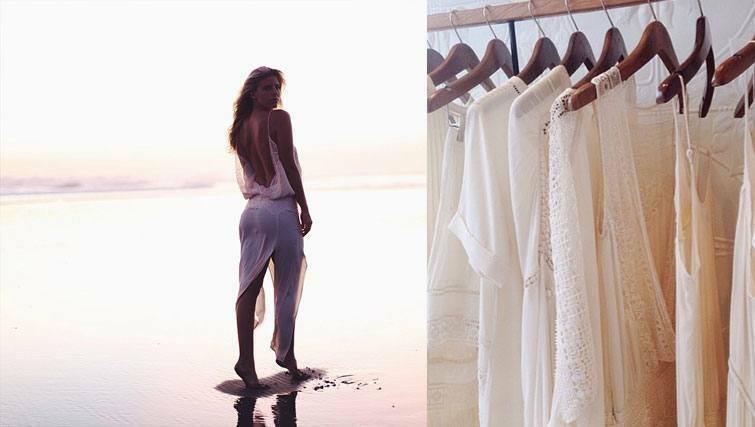 It’s also home to a lot of Bali’s boutique shopping, most local and international designers have set up shop here. Brown Feather offers unique boutique accommodation in Seminyak. 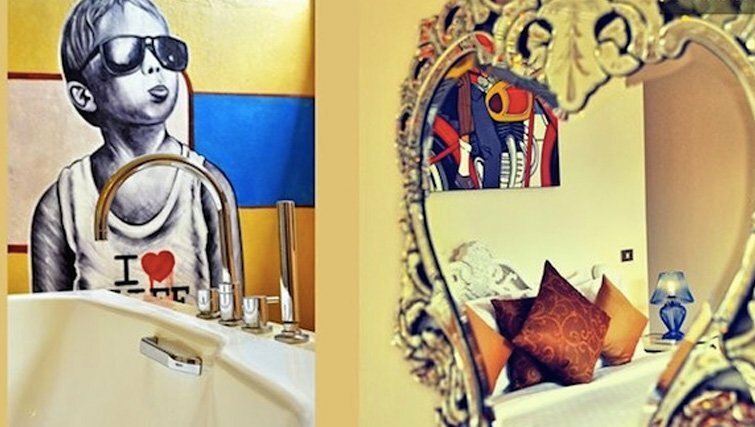 This small hotel has just sixteen rooms with three themes consistent throughout. The Ahusaka rooms are on the first floor and feature vintage decor with deep wooden and earthy tones. The Halona rooms are slightly bigger than the former and are positioned next to the pool. Two of these rooms have views of the rice fields. The Magena rooms offer the package – pool side suites as well as view of the rice fields. The bathroom sinks are creatively supported by the base of a Singer sewing machine, just a small example of the character that oozes from every facet of this hotel. All of the rooms have private bathrooms and air-con to make your stay as comfortable as possible. 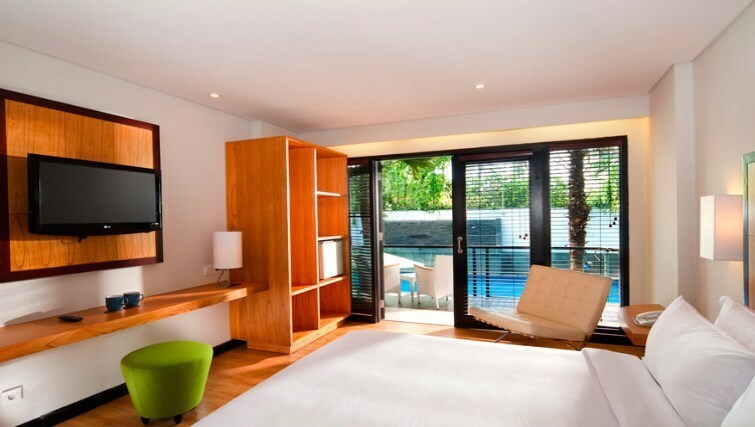 These modern and stylish apartments are located in the heart of Seminyak. Clean lines, cow skin rugs and concrete features create an elegant and minimalist aesthetic at Clio Apartments. 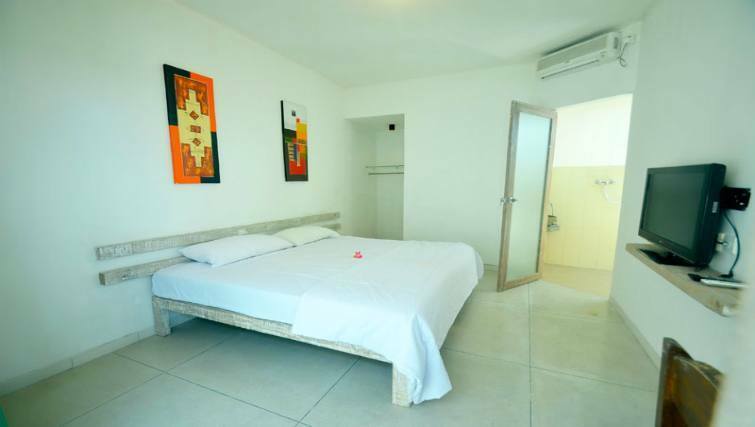 There are 14 different rooms available including studios, deluxe studios, lofts and penthouse apartments, with nothing over US$100 per night. There’s no pool but you can head on down to the Double Six Resort for a dip. Each of the 19 suites offer direct access to the 40m long lagoon, aka pool. 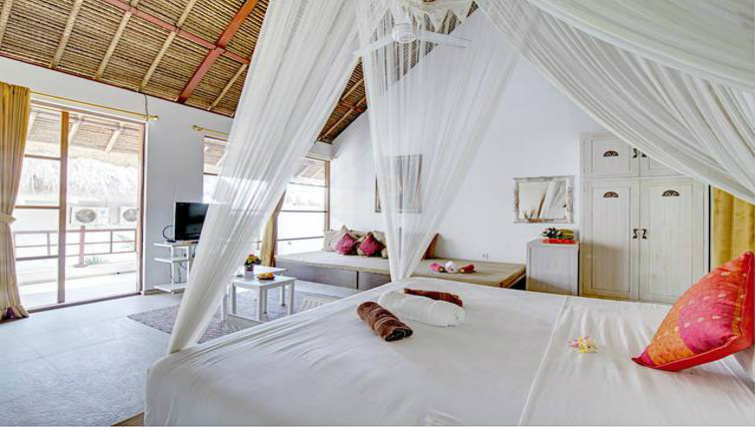 The Egyptian cotton sheets are just one of the luxuries on offer at this very reasonably priced villa in Seminyak. The rooms are also decked out with all the modern conveniences of holiday life – Wi-Fi, DVD player, iPod dock and an Android TV. Insider tip: Seminyak Lagoon is also super close to inBali favourite Mama San, so make sure you venture there for cocktails and dinner during your stay. People rave about the hospitality that Gusti, the owner of this homestay, offers his guests. It’s simple, clean and dirt cheap, leaving you with plenty of spending money in your pocket. The six guest rooms all have private bathrooms, a terrace, air-con, hot water and Wi-Fi. A delicious Balinese breakfast is even included in the rate. Canggu and Echo Beach draw quite a diverse crowd. While you will spot many of the young surfy types here with some of the best breaks in Bali, it also manages to draw an upmarket group of people too. Far more chilled and nicely positioned just away from the hustle and bustle of Kuta and Seminyak, it offers a little bit of peace at a very short distance when you’re looking for accommodation in Bali. The ten-kilometre street of beach includes smaller villages like Mengening. 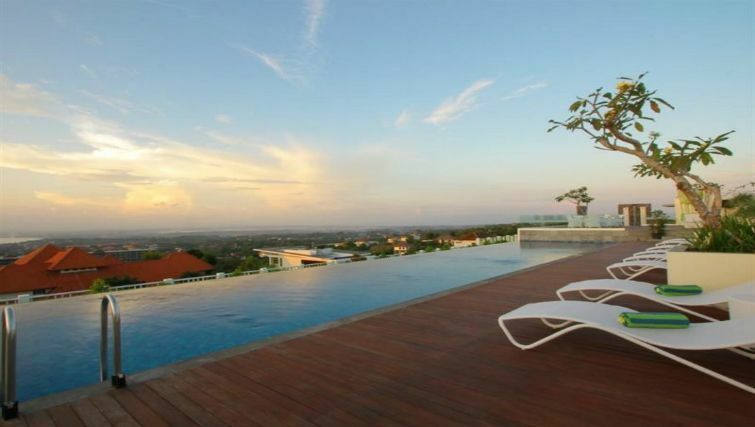 This is also where many expats who reside in Bali choose to live. 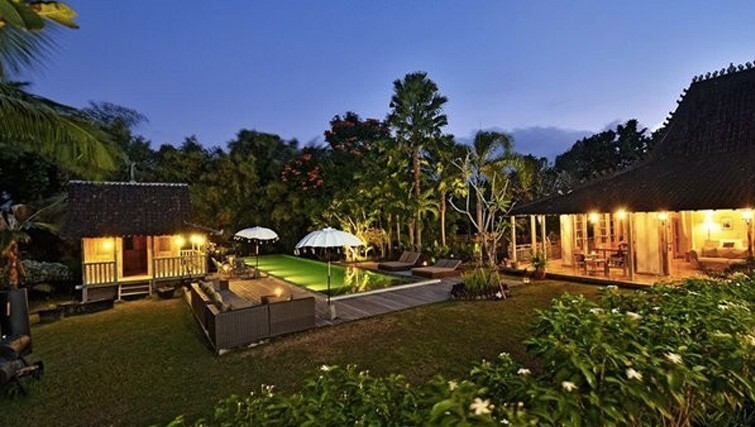 Even the famed Australian swimmer Michael Klim and his wife Lindy call this village home. 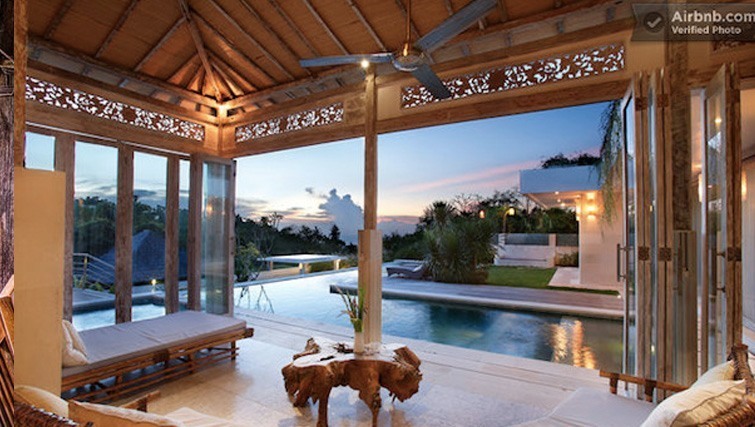 Canggu has beautiful beaches and vast rice terraces spotted with luxury villas and homes. Now one of Bali’s most popular locations, it has a great selection of cafes, restaurants and shops to keep you fed, clothed and entertained. We challenge any five star resort to trump the five star service offered up by this homely boutique lodge in Berawa. With just ten rooms, a personalised stay is guaranteed. Newly built yet dripping in vines, Sedasa is clean, modern and charming. A rooftop terrace offers beanbags for soaking up the pink skies of sunset, as well as bench bar that hosts the hotel’s Balinese cooking classes. Yoga, picnics, biking on the beach and surf lessons are all part of the calendar of offerings – that’s if you can tear yourself away from lazing by the gorgeous pool. Find out more at sedasa.com. 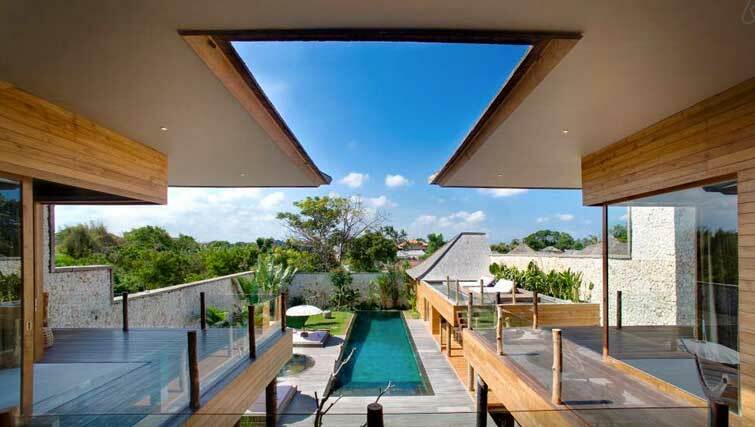 Host Nincy lives in a three-bedroom villa with a pool and tropical garden in Canggu. 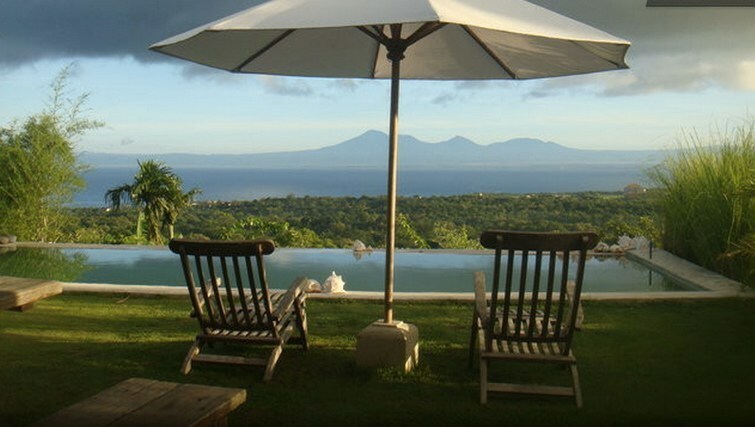 The villa is around 10 minutes from Batu Bolong and Echo beach. She offers guests a pool side room with a king sized bed, sofa, TV, air-con, fridge, microwave, and a private bathroom. 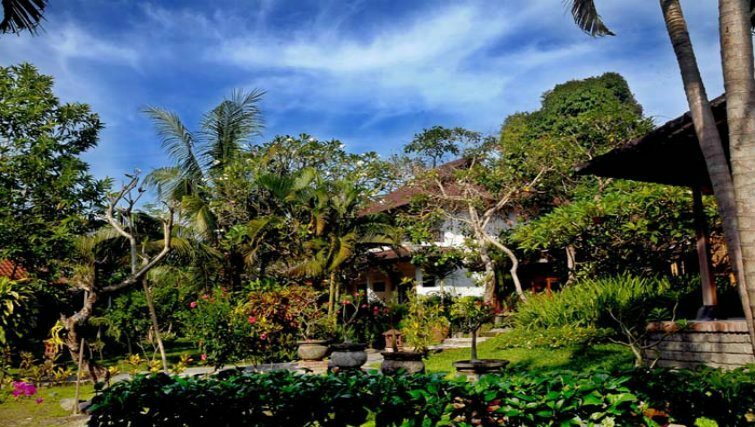 For only US$24 per night, this homestay offers all the luxuries of a 5 star resort at a fraction of the price. For those looking for a relaxing holiday this homestay suits perfectly. Host Nincy has bikes available for rent if you want to explore nearby sights like Tanah Lot, a Hindu temple sitting on a large offshore rock. 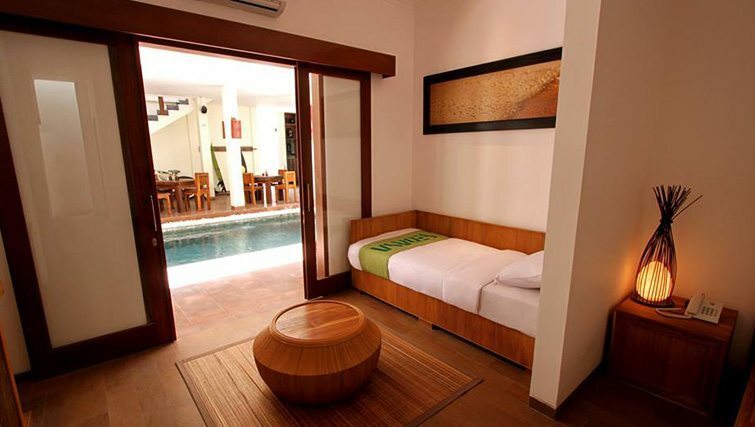 Refurbished just last year, Saren Guesthouse has eight large, modern bedrooms in Canggu. The rooms include, breakfast, Wi-Fi and a private ensuite. Traditional Balinese massages are also available at the guesthouse. Close to all the best parts of Canggu, this is a price you can’t refuse if you’re travelling on a budget. Staying at Frii Hotel in Echo Beach isn’t about having a place to rest your head for the night. Frii wants you to have an experience where you make great friends and have so much fun you’ll never want to leave. The design is funky and youthful making this a perfect spot for a bunch of mates. Echo Beach is a top surf beach in Bali, so if you’re keen to hit the waves then you’ll be in a prime location to do so. Pick a room that steps out onto the pool or one that looks out over the ocean. There’s also a family room available so everyone is set. Daniel and Betty are the wonderful hosts of this traditional Balinese guest house in Canggu. There are six rooms available with various bedding configarations. Stay for a couple of nights or if you’re in Bali for a more extended trip, this is a great place to hang your hat for a while. If you’re a big travelling party you can even book out the entire villa. There’s a pool, a communal lounge and kitchen available to all guests. A stones throw from the popular Bali Buda, you’ll also stay well fed in the areas around Villa Marene. This eastern 5km stretch of beach along the Bali coastline is the perfect spot to soak up the “real” Bali. It’s thought to be a sleepy area but is really picking up and has very reasonably priced accommodation available. Surprisingly, Sanur is where a lot of Bali’s beachfront accommodation began, but luckily it hasn’t been windswept with massive resort chains. As a former fishing village, Sanur still holds a lot of traditional charm and gives off relaxed coastal vibes. It has quite an eclectic mix of accommodation, restaurants and shops that make it an attractive destination for different types of holiday goers. The drive from Ngurah Rai International Airport to Sanur is around 30-minutes, and it’s also well located for day trips to other parts of the island, including Amed and Cadi Dasa. This four star accommodation is an absolute steal. The Oasis Lagoon in Sanur provides contemporary and sophisticated living to the standard of any holiday-goer visiting the island. The innovative design of the hotel makes it a true stand out. The are 126 rooms available and although they are priced on the website above most “budget” budgets, you can score them cheaper on third party websites like booking.com, so make sure you shop around. Staying here doesn’t just give you a decent place to drop your bags while you explore Bali at a great price, but host Sally will provide you with insightful knowledge of the island, making your stay that much better. 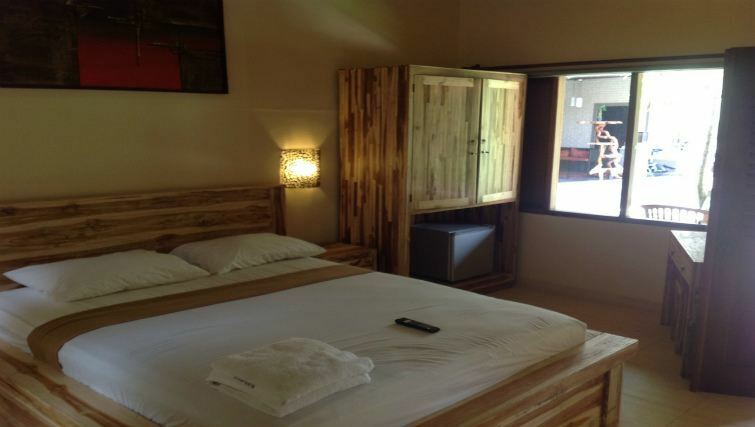 The room has its own private entrance, a queen sized bed, air-con and a fridge. Guests are welcome to use all the other amenities throughout the home as well. 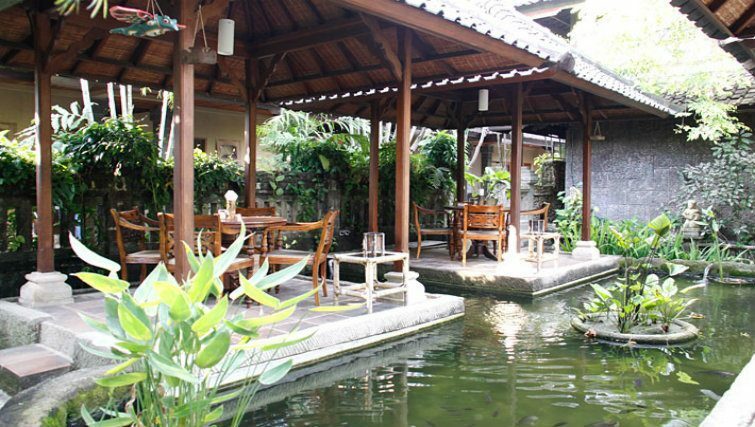 It is just a street back from the shops and restaurants of Sanur and a 10-minute walk to the beach. There’s a pool and bale (outdoor gazebo) for you to laze around all day long if all that exploring gets the better of you. 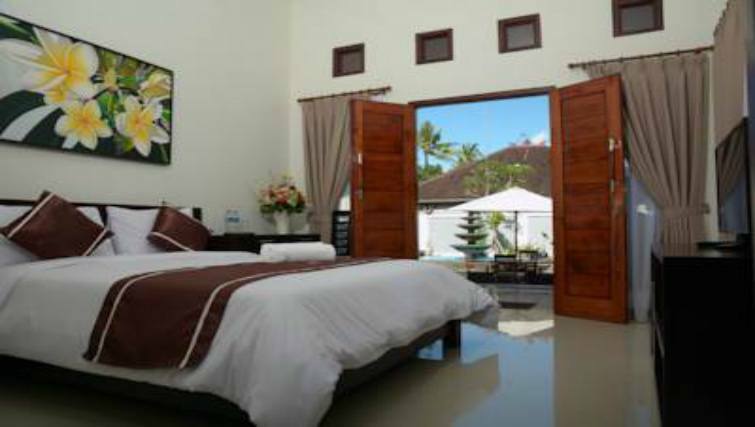 Puri Kelapa Garden Cottages are just 370 meters away from Sanur Beach. The Balinese themed rooms are available in two different structures. There are standard rooms as well as stand alone bungalow type cottages, each with their own private bathroom. 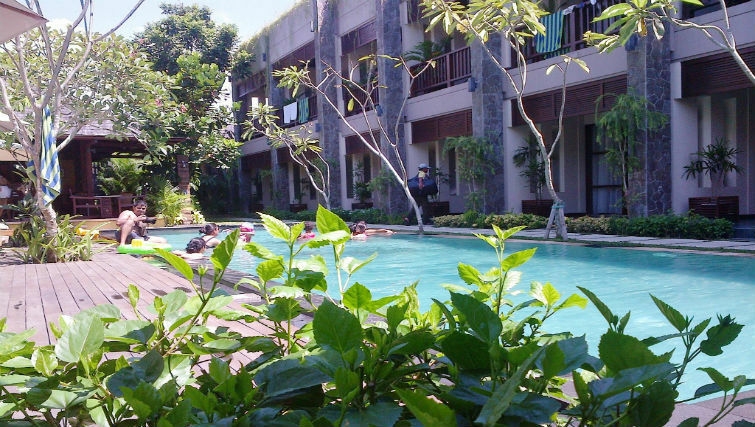 The lush green property has a central pool and restaurant, with bikes also available to get around Sanur. 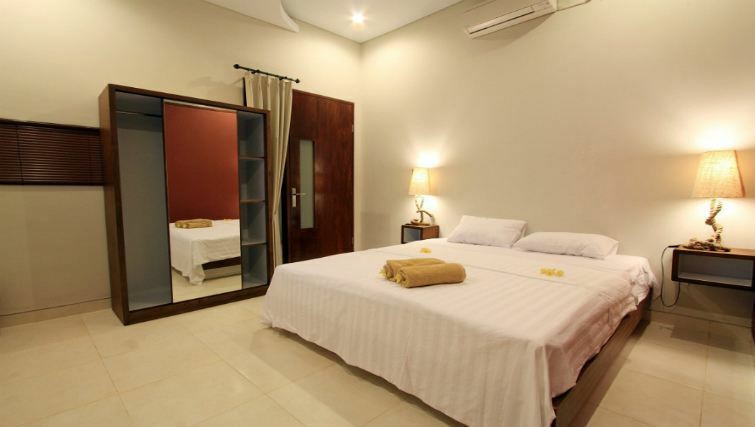 You can expect a simple and relaxed atmosphere when you stay at Puri Kelapa Garden Cottages. Another good option for the avid beach goer in Sanur. 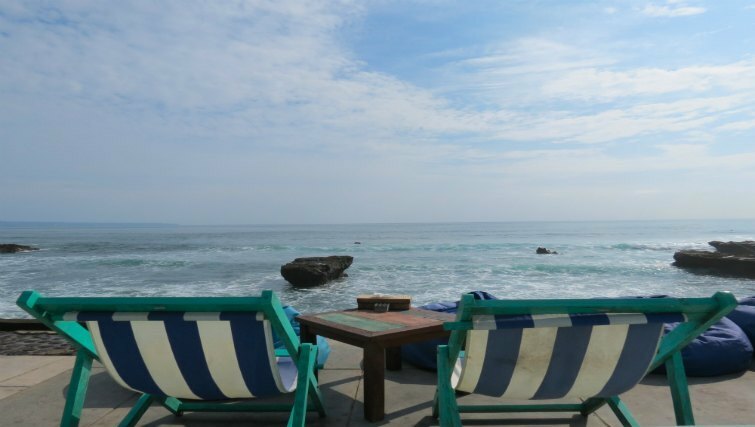 You’re just five minutes away from the coast at Junkung Guest House. Relaxed and homely accommodation with air-conditioning, a private en-suite and a TV. You can also chill out by the pool on a bean bag. Breakfast is provided and for lunch and dinner you’re just a short stroll from lots of great dining options. You will immediately fall in love with Jimbaran Bay. As soon as you experience the famous seafood BBQ and a beautiful sunset at one of the local warungs along the beach, you’ll be sold. Musicians strum next to diners seated on the outdoor settings that line sands as far as the tide will allow them to stretch. Even those who find themselves safely tucked away inside one of the big luxury resorts like the Four Seasons or InterContinental will find themselves wandering down here night after night. 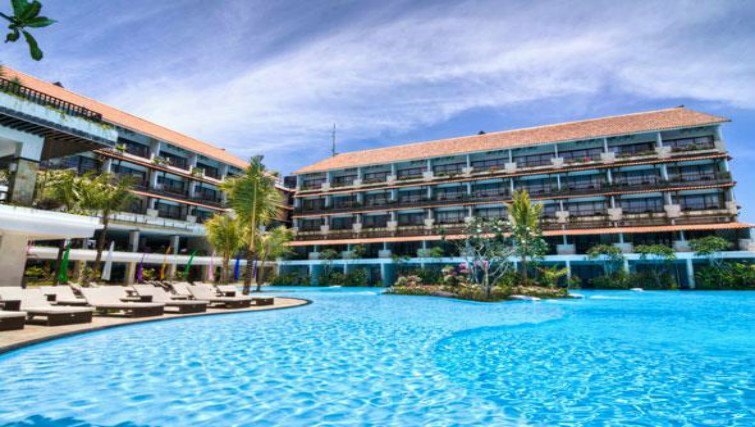 Jimbaran Bay is conveniently located next to Bali’s International Airport, so you will also find that a lot of people end their holiday here for convenience. This local fishing village has lots of wonderful accommodation in Bali, going from one end of the spectrum to the other, you will find something to fit your budget. Despite drawing many tourists (part and parcel of holidaying in any area of Bali) both the beach and the bay of Jimbaran provide smaller secluded areas that allow you to escape to find some peace and tranquility. If you’re having a stop over in Bali or have an early AM flight, then Hotel Puri Bambu is conveniently located just 10 minutes from the Ngurah Rai International Airport. But besides that handy point, it’s also simply a good budget option in Jimbaran Bay. The Wi-Fi isn’t great here, so if you’re desperate to stay “connected” keep that in mind or ask for a room near the restaurant upstairs. There are nearly 50 different rooms available that are all equipped with everything you need to have an easy and comfortable stay. On flash sale you can get a deluxe or suite room for under US$70 per night. The pool villas are slightly over budget but with a group of four they are still reasonably priced. Both the deluxe and suite rooms have access to the pool (so technically you don’t really even need your own). The rooms have wooden finishes, queen sized beds, private en-suites and a terrace; all made with the environment in mind. In a round about sort of way, Astari means “everlasting beauty” in Bahasa Indonesia and we think the name epitomises this accommodation in Jimbaran Bay to a tee. These traditionally designed beach bungalows really make you feel like you’re having a true island holiday. Located in Pecatu, this is a great spot if you’re in Bali to hit the surf. If you’re quick, the nearest beach, Balangan, is a minute’s walk away and not much further is Dreamland – commonly described as a surfer’s paradise. The bungalows are fairly primitive, with a fan, mosquito net and private bathroom. Surf themed hotels seem to be popping up all over the shop in Bali. This one is pretty chic for a budget hotel and has awesome views of Jimbaran and Benoa Bays, especially from the infinite pool and rooftop. 98 standard or double rooms expand across seven levels. There’s a restaurant, spa, mini-mart and of course the love shack bar onsite. You really don’t have to leave. If you go all the way to Bali for a beach holiday and wind up in Kuta or Seminyak thinking there’s no chance in hell you’re swimming in that water, don’t fret! You simply turned the wrong way out of Bali’s Denpasar Airport. Most of the accommodation in Uluwatu offers stunning cliff views of the Indian Ocean. The most popular surfing spot on the island with perfect swell for the more experienced surfers, Uluwatu is home to the most famous wave in Bali. Naturally, you will find a lot of surfers nestled in this pocket of the island. 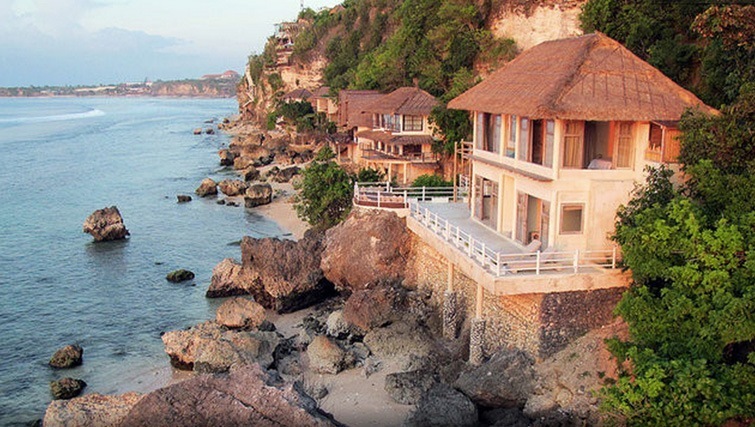 Like everywhere else, the accommodation in Uluwatu is anything from beach shack to luxury and every thing in between. Prices vary anywhere from $5 USD to the thousands. You should also remember you are a little isolated when you venture over to Uluwatu, but not in a bad way. It’s not an easy, nor a quick trip from one side of Bali to the other despite the seemingly short distances on the map. Uluwatu is positioned around an hour’s drive from the international airport. But there’s also no reason to really leave Uluwatu; it has everything you’ll need to enjoy your stay. 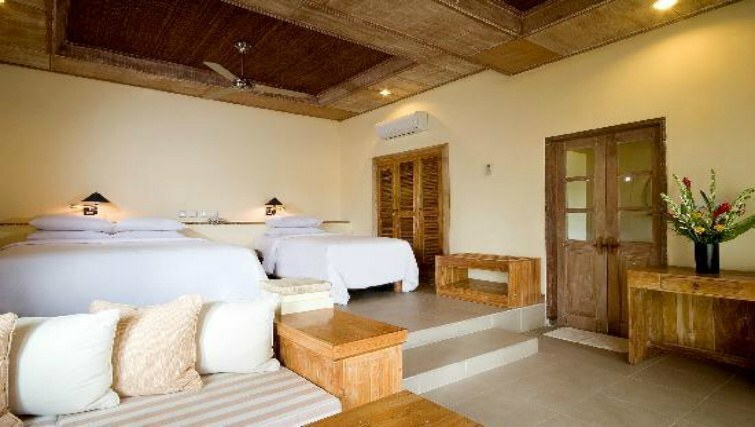 Hidden Valley Resort is built using recycled teak-wood and eco-friendly materials. 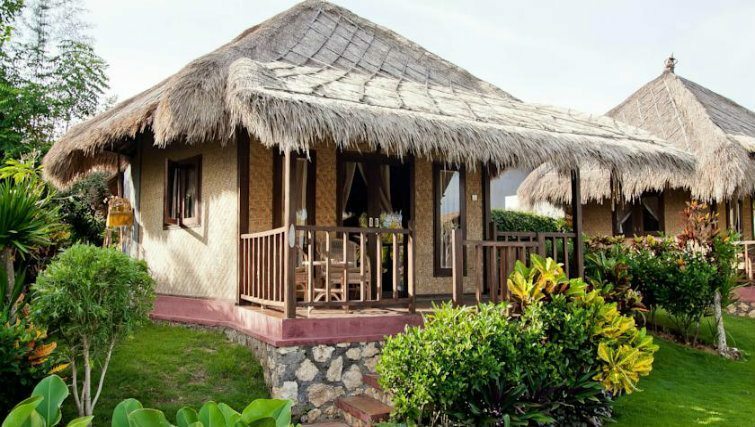 There are 26 rooms including standard rooms, family suites and executive suites (with their own private jacuzzis), two-story traditional lumbung villas and traditional bungalows. Breakfast is also included in the rate. There’s pool access, a games room, as well as a wood fired pizza oven available for guests to use. Hidden Valley is appropriately named; enjoy the tranquil surrounds with the convenience of the beach and other attractions close by. Hosts Thierry and Isabelle do everything to make your stay a pleasant experience, from cooking you a delicious breakfasts in the morning to offering seafood BBQs in the evening. There’s a pool, sun lounges and a bar that harness the distant vista of the Indian Ocean. Each room has a private terrace with views of the pool, garden and water. 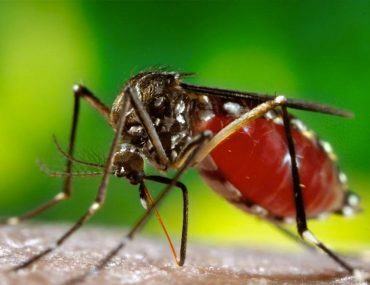 All are fitted with mosquito nets, A/C and outdoor en-suite bathroom. 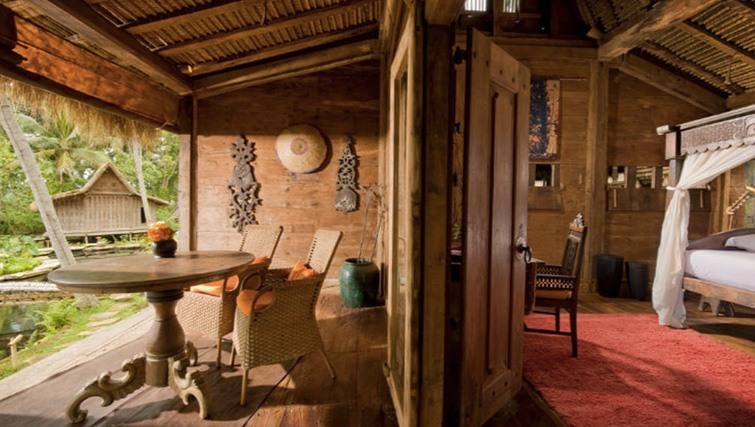 These rustic beachfront bungalows offer the perfect escape for those with simple tastes and a love for the ocean. You are a short paddle away from the Pandang surf break making this the ultimate spot for avid surfers. There are four private rooms with their own decks, allowing you to enjoy the views at all times. There’s no air-con but with a ceiling fan and ocean breeze you really shouldn’t need one. During low tide, the beach becomes a quite pool for a relaxing swim. There’s also great snorkelling at the nearby reef. This is what’s best described as the “gated community” of the Island of Gods; imagine perfectly manicured gardens and lush green lawns. To be frank, if you’re looking for budget accommodation, Nusa Dua probably isn’t your best option. Rather, you will find accommodation in Nusa Dua that will give you stunning five star resorts, world-class dining options and little to no interaction with authentic Bali. Alas, we do have a few options if you are set on staying in this part of the island. Tourist note: A must see attraction in Nusa Dua is right on the tip of the peninsula where you can see water explode out of a natural blow hole. This draws even those who don’t care much for the Nusa Dua vibe. The Swiss-Belhotel Segara touts itself as being “affordable luxury” and we can’t help but agree. It has a large resort vibe with more than 150 rooms of various descriptions available. A tropical aesthetic is consistent throughout, with two massive lagoon shaped swimming pools, a gym, spa and coffee shop for guests to enjoy during their stay. 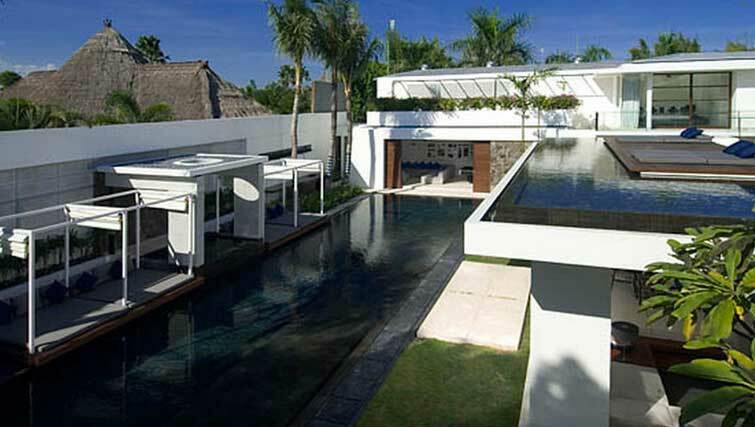 Gael the owner of this “exotic” two-bedroom villa in Nusa Dua is a French Designer calling Bali home. Gael offers a different type of accommodation in Nusa Dua, a more authentic Bali experience. 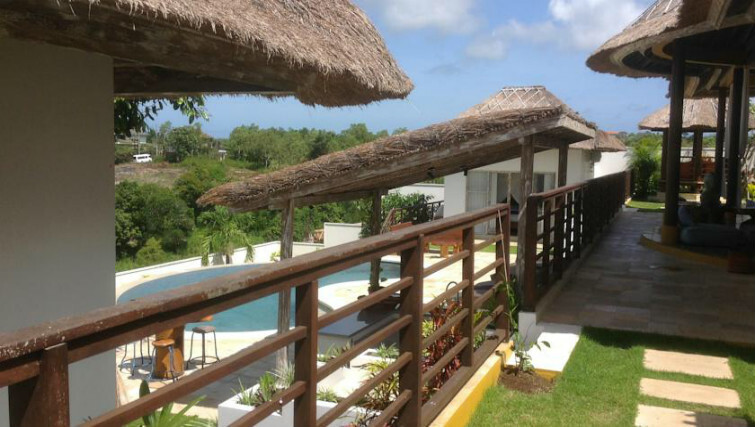 The villa has hot water, air-con and two-bedrooms located on the top level. There’s an outdoor gazebo for you to relax in and a kitchen if you tire of take-out. You’re even allowed to bring your pets to this humble abode. 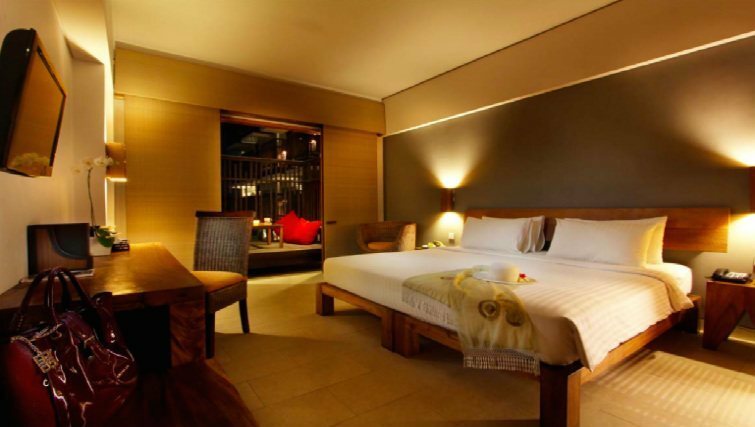 You can expect traditional but modern Balinese accommodation at Kuba Garden in Nusa Dua. They have fancy form-fitting mattresses so that you are guaranteed a great sleep. The rooms have private terraces, air-conditioning and en-suite bathrooms. You’re also a convenient 10-minute walk from Tanjung Benoa Beach and Basuka Water Sports. Remember the movie Eat, Pray, Love with Julia Roberts? Well that’s when Ubud was really put on the map. But for the smart nature loving types, Ubud has been a haunt for many years. Accommodation in Ubud really goes a few ways. First, authentic Balinese lodging. Second, hotels that blur the line between budget and mid-range. And third, stunning five star resorts that make the most of their the lush green surrounds. 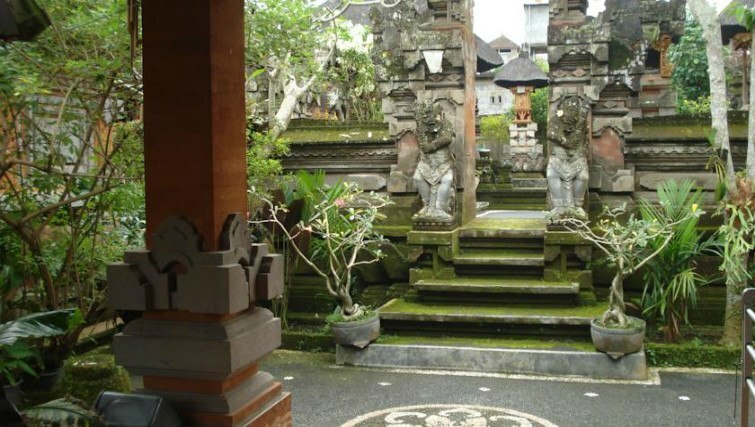 Ubud is so rich in culture that you feel like you’ve been taken to a faraway, spiritual place. The local people are relaxed and you won’t feel hounded to eat somewhere or buy something as you’re wandering the streets. We advise you rent a scooter or a car to explore the outskirts of Ubud where great art shops and many historical and religious sights can be found. Tourist note: Ubud draws a particular type of crowd, namely your environmental, yogi type. 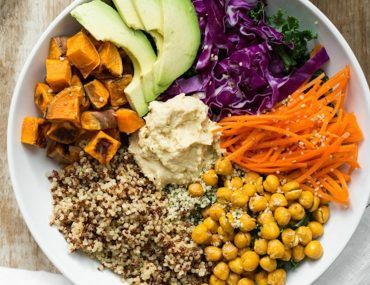 Much of the food here is organic and vegan, so if you’ve come to Bali with beach bars on your mind, a day trip to Ubud will suffice for you. The ultimate location for any yogis visiting Bali, you can literally wake up and stroll into one of the many classes on offer at the Yoga Barn. 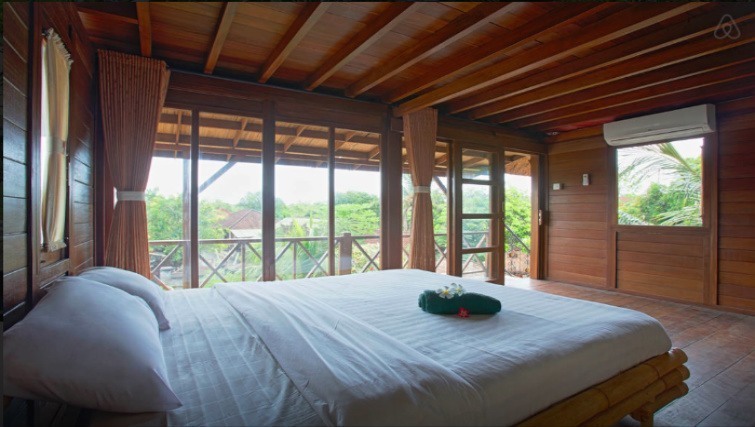 Four-bed dorms or private rooms are available, all in a traditional Balinese design. The rooms are cleaned daily and you’ll get to meet an eclectic mix of people at The Barn’s cafe. 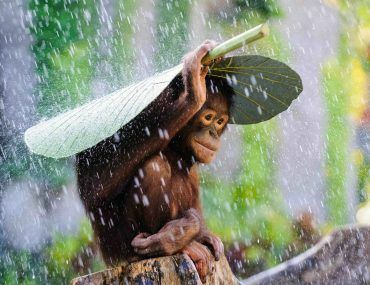 The only downside is that there is no pool, but the regular afternoon downpours should do the trick. Ubad (meaning medicine in Bahasa Indonesia) is a small and simple retreat in Ubud, located just outside the township. Five rooms surround a central outdoor pool. There’s an organic kitchen onsite and the retreat aims to reconnect its guests with nature and all of the simple things in life. 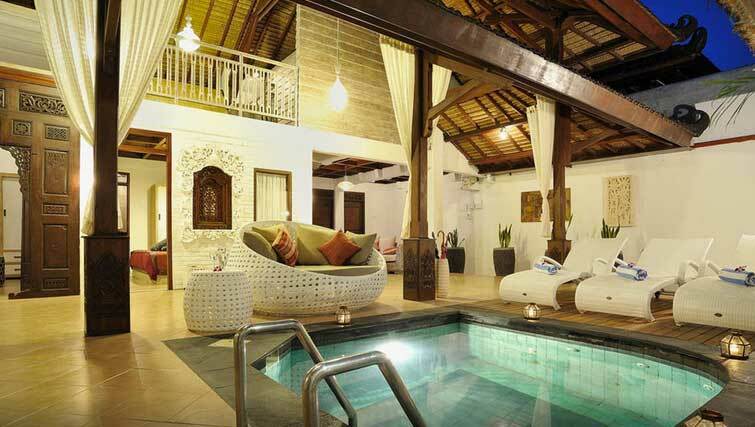 Gusti Kaler House is a traditional Balinese home stay in Ubud. Family run accommodation offering Wi-Fi and hot and cold showers. Breakfast is included and it is just a short stroll into town. A great authentic Balinese experience and an ideal option for those travelling on the cheap. For the last three years, Tegal Sari has taken out Trip Advisor’s Travellers Choice Award for ‘bargain’ accommodation in Bali. There are 27 guestrooms individually designed with spacious terraces. 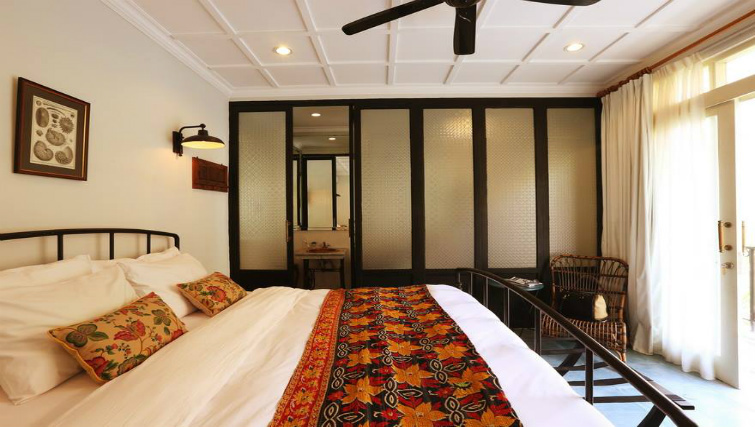 The ‘wooden’ room is a popular choice for guests and the Nyalian rooms are a new edition featuring a more modern design. You will feel relaxed and rejuvenated in the tranquil surrounds, Tegal Sari is encircled by rice fields and lotus ponds. Anticipate generous and genuine Balinese service if you choose Tegal Sari as your base whilst in Bali. Happy hunting. We hope you enjoy your stay. Love from all of us at inBali. 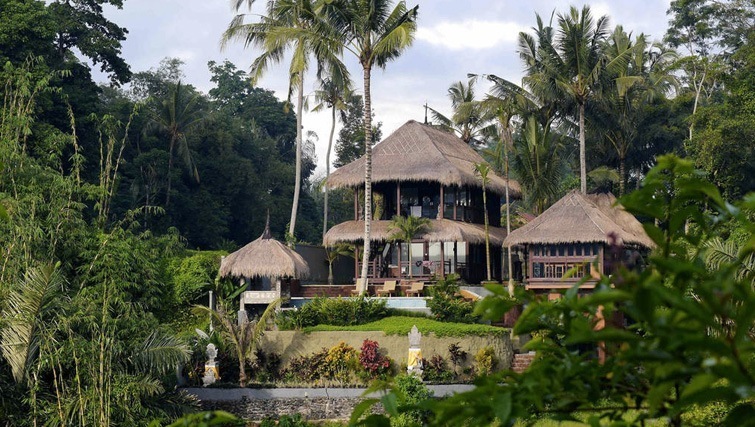 When it comes to choosing the most fabulous accommodation in Bali that money can buy, you’ll be amazed at the sheer abundance and variety of options available. No matter what your budget, you won’t have to settle for less than a jaw dropping villa. That is if you know where to look. 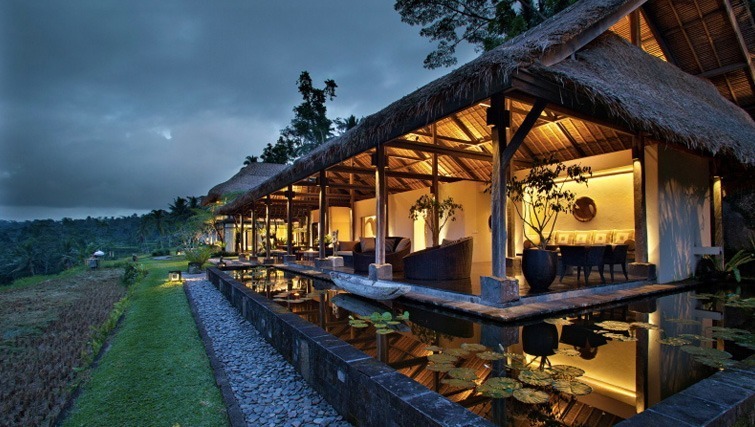 Bali’s boutique and five star hotels have had their moment. 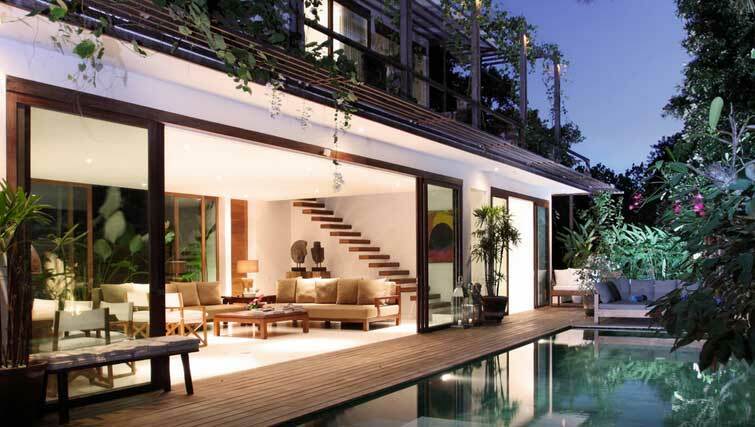 These days, a chic Bali vacay is all about staying in a beautiful villa in Seminyak. We think it beats a predictable chain stay any day of the week. These stunning villas are giving Bali’s best hotels and resorts a run for their money. Private villas in Bali are fully staffed with maids, drivers and even nannies and private chefs on request and at your service around-the-clock. It’s on another level of personalised service. Private villa staff are known for their warm hospitality. They’ll go beyond the call of duty to make sure you leave with a big, satisfied grin. Plus, you get an unbeatable level of privacy that only a private property can offer. Split between a group of four or more, a stay works out to be a complete bargain in comparison to a resort. And it’s not just about the money: it seems no two villas are the same. So if you’re in the market for something with plenty of personality, a big hit of luxury, a dose of pampering and personalised service, then scroll down to hit the holiday villa jackpot! I don’t know if you’re guilty of this, but for the longest time I held an outdated idea of what villas in Bali are supposed to look like. Outdoor areas with cushions, turquoise pools shaded by frangipani trees, teak floors, teak furniture, teak doors — teak everything. Today, boutique villas in Bali look as though they’ve jumped out the pages of Architectural Digest. That might have been the case years and years ago, but a new breed of commercial villa developers are completely changing the game. We’ve rounded up the sexiest AirBnB villas in Seminyak and found ultra-modern properties with pools that go on forever, townhouse living inspired villas, out-of-control architectural villas, and even a few experimental villas that you won’t find anywhere else in the world. And they’re yours to enjoy. 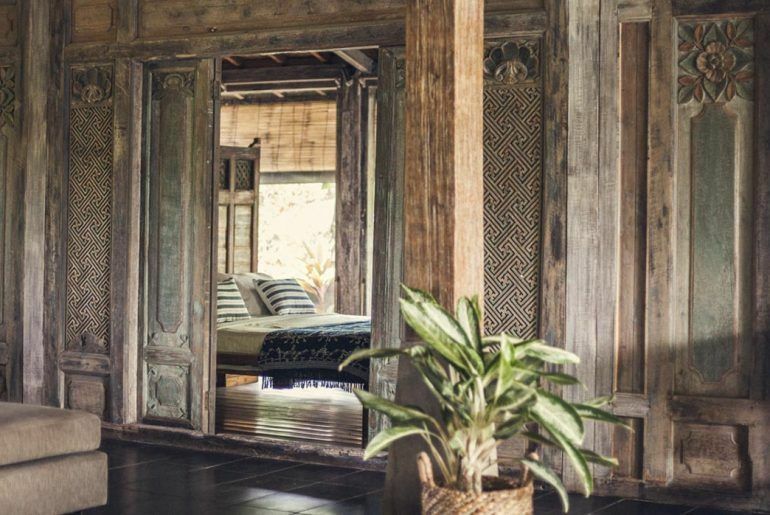 The villa is made out a traditional joglo, the ornately carved timber was hand picked and transported over from Java where it was resembled in all its glory. Surrounded by lush gardens villa Bahama has a truly island feel. 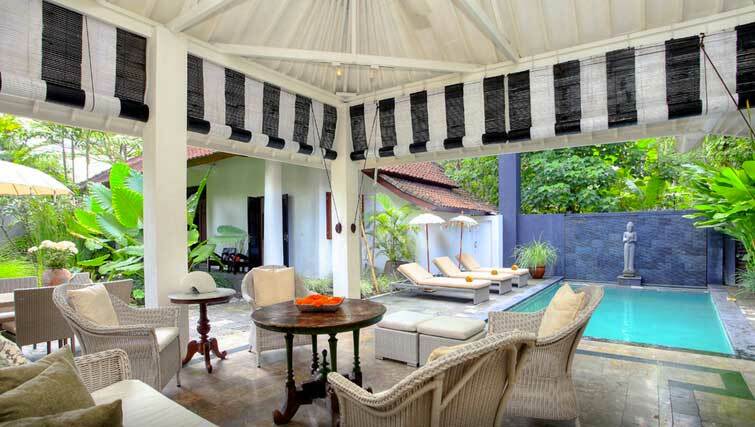 Opposite the main house is a smaller joglo with double bedroom and bathroom with its own private entrance. 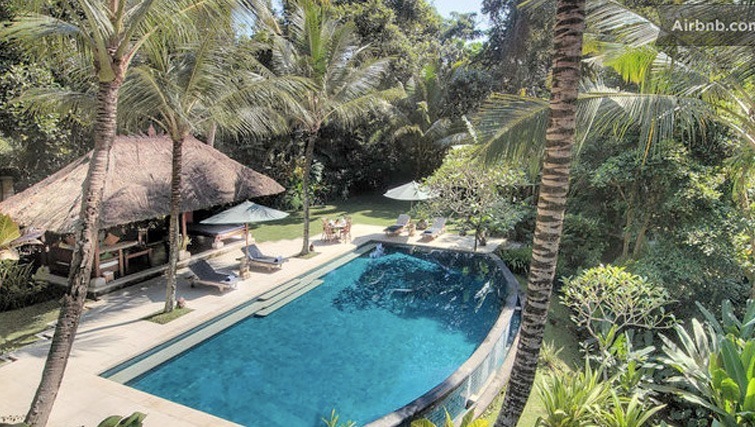 Situated in a quiet area only 5 mins from Seminyak and Canggu. 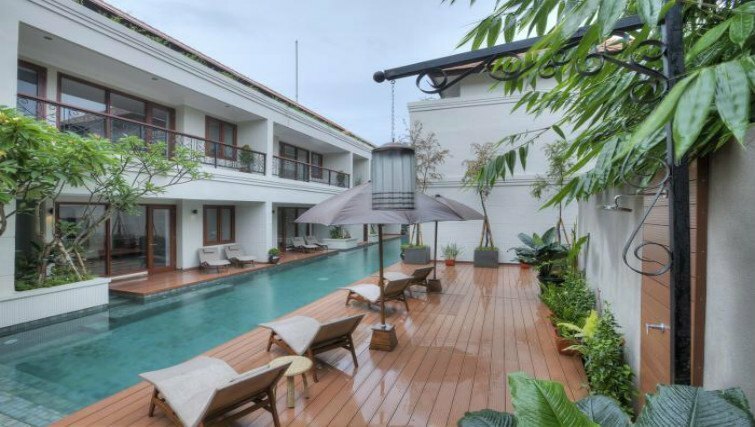 This snazzy four bedroom villa in the heart of Seminyak is just a 5 minute walk to Petitenget Beach and Hu’u bar, one of Bali’s hottest uptown nightlife venues. The beach club trinity (Ku De Ta, Potato Head and W hotel) is a 5-minute taxi ride away, but with your very own private pool, jacuzzi, and a villa chef who’s happy to cater for an impromptu dinner party for 30 people, who said anything about leaving the premises? This modern villa might look like just another fancy Balinese villa, but step inside and you’ll find interesting rooms decorated with rattan panels, open-air bathrooms tiled with granite blocks and wooden pathways over fish ponds. You’ll just have to check out the rest of the photos in the listings for yourself. This villa is to live for! 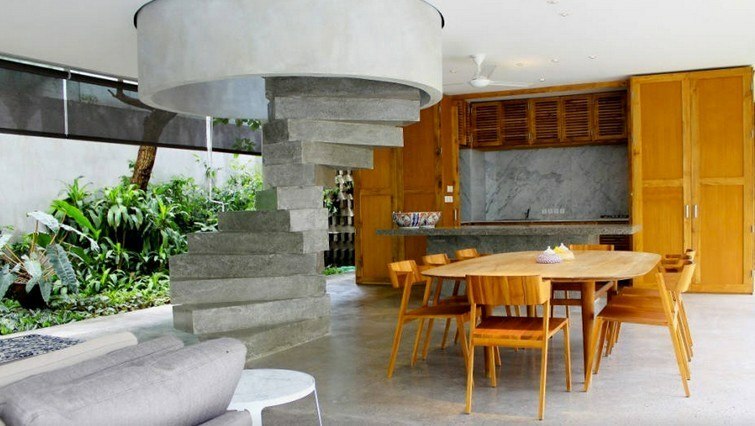 Now here’s an interesting and ultra modern 3-bedroom villa in the heart of Seminyak that’s swapped pastel accent walls for cool concrete columns, and features a Zen spiral staircase as the focal point of the living room. The owners, who work in the furniture business, certainly went experimental with this property. And you know what? We love it! The bedrooms and living spaces of this four bedroom pool villa are housed in separate buildings, in the traditional Balinese style of living. Which makes it great for groups of couples. You just can’t put a price on privacy. The spaces flow through the massive indoor-outdoor living area and around a 14-meter lap pool. With Ultimo restaurant just a handy one-minute walk up the road, it’s practically like staying in a resort. 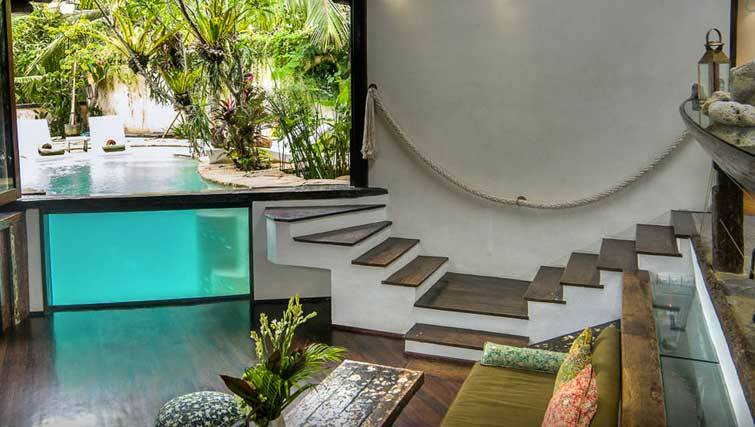 This hip 2-bedroom townhouse villa in Seminyak screams impromptu Instagram photoshoot. The Gilligan’s Island themed townhouse-boathouse-villa runs right through the whole house and poolside. We’re lost for words. Take us there now, please! Putih Sekali means extremely white in Bahasa. 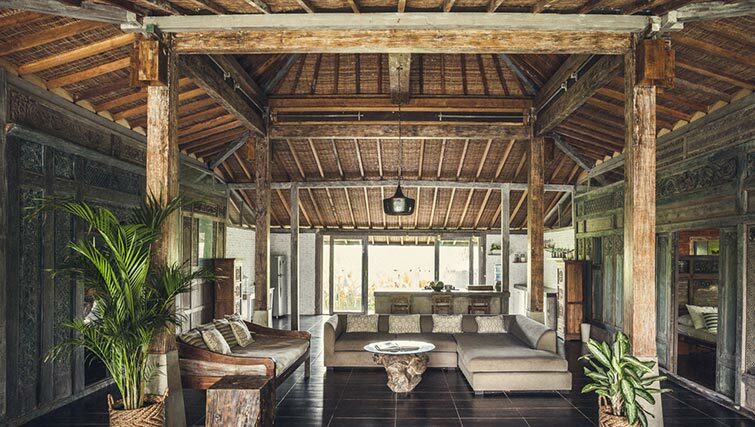 This extremely white 4-bedroom house combines traditional and modern Balinese living with a few colonial touches. Located on the beach side of Jalan Seminyak and tucked away in a quiet villa estate, you’re always moments away from the action, or a peaceful day by the pool. Fancy a facial? No problem. A cluster of boutique spas is just spitting distance from the property. And you’re just a few hundred meters from Jalan Oberoi, Bali’s ‘Eat Street’. This one’s for the uptown couple. A boutique villa in Seminyak with a townhouse twist, that’s fully staffed and just 2 minutes from trendy Hu’u Bar, the W and Sarong restaurant. Getting around is easy from the villa. All you have to do is walk out onto Jalan Petitenget and hail a taxi. Style and location. Can we just move in? Forever?? Here’s a slick architectural villa in Seminyak’s fashion district that’s the perfect accessory to a Magali Pascal frock. Pose in the centre of this masterpiece or on the wooden deck by the lotus pond? Options, options… The living and dining spaces in this exquisite property call for a private chef and in-villa epicurean celebrations. The best part: they’ll arrange everything for you. The villa comes with seven full time staff, which probably out numbers the guests in most cases. How’s that for service? No, we don’t fault you for mistaking this award winning 4-bedroom luxury villa for a beach club. Let’s hope someone remembered to book a DJ, because a Ku De Ta style private party is only a crate of vodka away. This villa was designed by some pretty serious architects (Gfab architects) who designed the Istanana in Bali and Phuket, and a couple of chic resorts in Koh Samui. You’ll want to round up a bigger crew. A villa this tasty deserves an epic blowout. Talk about a villa with wow-factor. This impressive beast of a luxury villa is a smashing venue to host a celebration. The owners reckon you can entertain up to 25 guests. We think that’s a wild understatement. The open plan kitchen and bar is the perfect setting for entertaining a ‘la Jamie Oliver, and the poolside looks like it could use a DJ. Why not? This is Bali after all. Although it’s a little smaller than the rest, we’re in love with this charming villa. Sometimes we’re not in the mood for floor to ceiling glass panels, we just want a cozy hideaway. Like going home to nana’s house for the holidays. 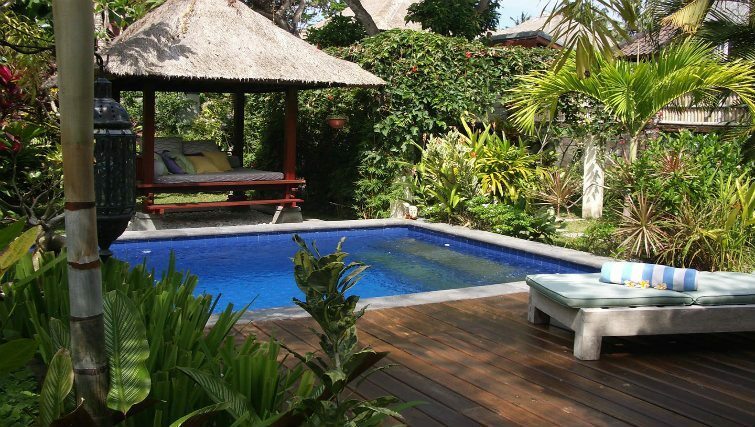 At US$215 a night for a three bedroom villa in Seminyak, this place is a star find. You’ll feel right at home at in this weathered but much-loved beach house. Perfect for couples that don’t need a lot of space. Wink wink. Set in a quiet Balinese community within walking distance to all of Seminyak’s best bits, this stunning architectural villa is for relaxation and privacy rather than parties. The property is more beautiful in real life than the photos capture (if that’s even remotely possible!). We wouldn’t mind retreating to this wonderfully private oasis after a long day of shopping. If it’s been a while since your last shopping trip to Seminyak, then you really ought to come back to Bali *STAT! * and do some serious damage to your travel plastic. In Bali, shopping’s not just a means to and end. It’s a lifestyle, a mindset, a sport, and a top way to spend the day(s). Fashion and furniture designers in Bali continue to raise the bar when it comes to the shopping and retail scene. 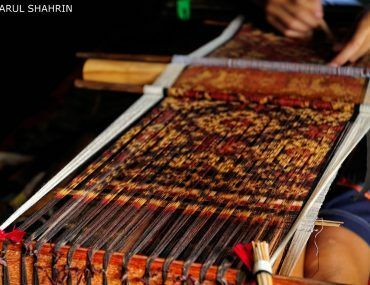 The quality and thrilling uniqueness of handcrafted items such as leather shoes and handbags, runway-ready dresses and designer homewares is surpassing what you find in the west, and at the fraction of the price. Do shops and boutiques in Seminyak accept credit cards? Yes, but you’ll get charged a processing fee of up to seven percent on purchases. Add crappy bank foreign exchange rate and your bargain buy just went up by ten percent. Worth it? Not really. Cash is always the way to go when shopping in Bali. Surf’s up in Bali. The summer high season is around the corner and the crowds are starting to pour in. This year, we’re finding it tougher than ever to some across great deals on short-term rentals in Bali on the usual classifieds. Here’s the good news: we’ve discovered AirBnB and there’s some pretty awesome houses at some pretty awesome prices. Once you get through this list, you’ll be ready to round up the gang and set your Bali surfing plans in stone. Here’s a roundup of the best surf Airbnb villas in Bali we’ve found. Let’s begin with the most curious, exquisite villa on the list. Just look at that décor. 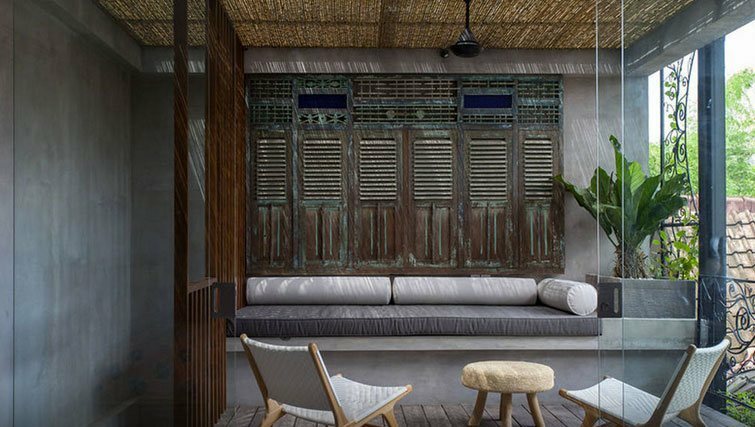 Stylishly appointed with Javanese antiques and curiosities, this villa is for the surf couples who travel in style. The wives will love the salt-water swimming pool and fully fitted out gourmet kitchen (because we all need a five-burner gas hot plate to heat up takeaways). Book it on AirBnB here. This funky five-bedroom villa is a spitting distance from Pantai Berawa, the hottest surf spot in Bali. Brightly punctuated with bursts of colourful pop art running throughout the house, it’s a spot on venue for parties relaxed get-togethers. The focal points of this beach house are two indoor and outdoor living rooms, inspired by Ralph Lauren’s home. This independent private duplex is worth checking out. On the grounds of this sprawling two acre property (with amazing views over a killer infinity pool), are four surfy spaces for rent. The hosts seem pretty chill, and they’ll pick you up from the airport for free. That infinity pool is to live for. Deals on contemporary villas with sweet ocean views don’t get sweeter than this. They’ve even thrown in complimentary airport pickups, breakfast, housekeeping and a few other perks. Hence it’s getting booked out pretty quickly. There’s only a few vacancies left in June and July so get in soon if you want to snag this incredible deal. Here’s another tasty spot near Berawa Beach, complete with cinema room for chilled movie nights after a day under the sun and a gorgeous pool for not-so-chill party nights. This is one villa you’ll want to invite your mates back to. Fully staffed with cooks and drivers, and close to the new Canggu Club – do you need anything else? 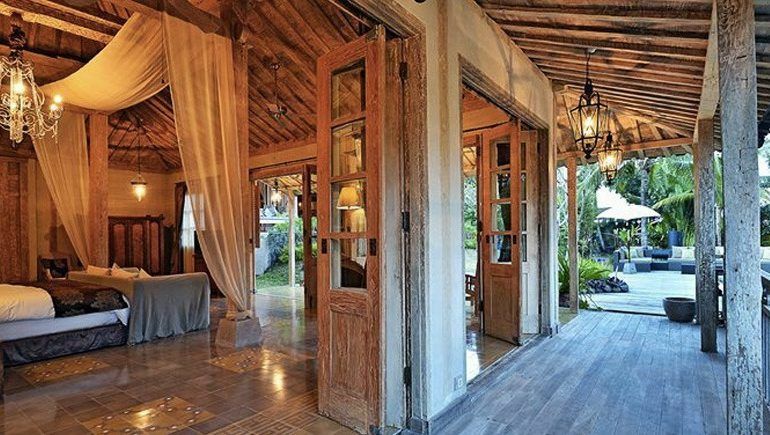 Looking for a Western style villa with a Balinese twist? No problem, you just have to walk for it. This luxurious villa is dramatically built on a stone cliff, almost cantilevering over the ocean – but the 10-minute walk from the beach might just take your breath away before the stunning view does. We still think it’s worth it (and a great way to get the missus in shape).